Yum! Tine t get ready for my favorite seafood. The flesh is super sweet and tender. 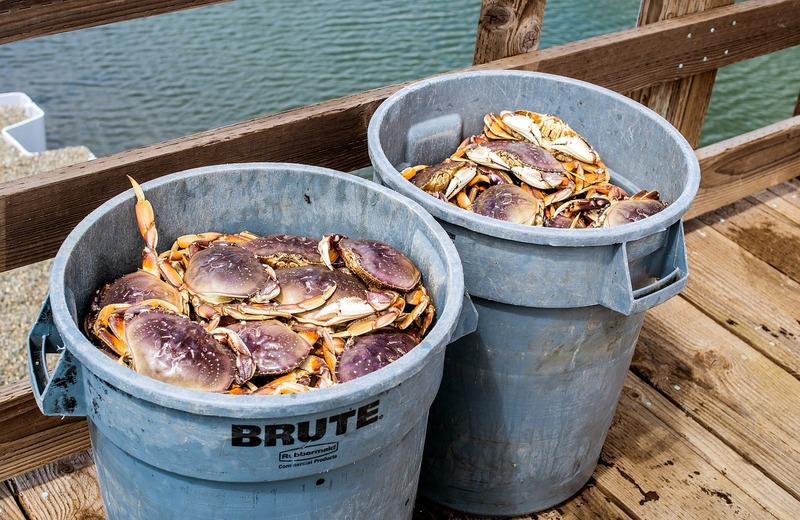 Living in Half Moon Bay and having a working harbor that depends on the dungeness crab season has its perks! Come late October you start seeing the crab pots lined up. The news is filled with debates over the price per pound the crab will fetch. In a large bowl, whisk the chili sauce, soy sauce, sugar, rice-wine vinegar, tomato paste and sesame oil with 1 1/4 cups water and reserve. Heat the peanut oil in a wok over high heat, and when it shimmers, add the shallot paste and fry for 30 seconds until very fragrant. Add the crabs and 1/3 of the chili sauce, and when the liquid simmers, continue to cook for 2 minutes, shaking the pan to cover the crabs with the sauce. Add the remaining chili sauce to the pan, and when it reaches a simmer, turn the heat to medium-low, cover the pan and continue to simmer vigorously about 8 minutes. Stir in the cornstarch paste, and when the liquid in the pan thickens, turn off the heat. Add the egg yolk and stir again to combine. Divide the crabs and sauce among 4 plates, sprinkle with the chopped scallions and serve immediately, with crab picks and many napkins. The sweet meat really stands up to this garlicky, spicy sauce.